Does art emulate life, or does life emulate art? 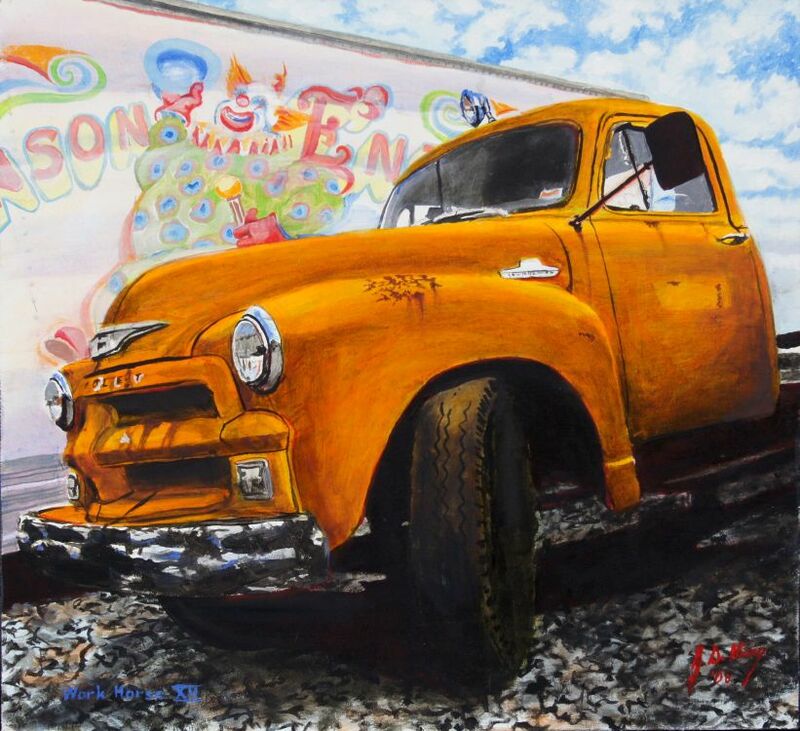 Late 1950s Chevrolet with a clown in the background and a spot light on the roof. Dimensions: 24in. × 2in. × 22in.